This is a gooey good, flavorful, cheesy, creamy rich sauce that is great with just about anything. In a colander rinse the cashews. Place them in a bowl or jar that can be covered and add four cups of water. Cover and soak overnight in the refrigerator. They will double in bulk. Drain the cashews and give a gentle rinse. Put all of the ingredients, except the miso, in a blender and blend until smooth. Pour in a heavy saucepan and cook over medium heat for about 10 minutes or until thick. Remove from heat. Mix about 1/4 cup of sauce with miso and beat together until smooth. 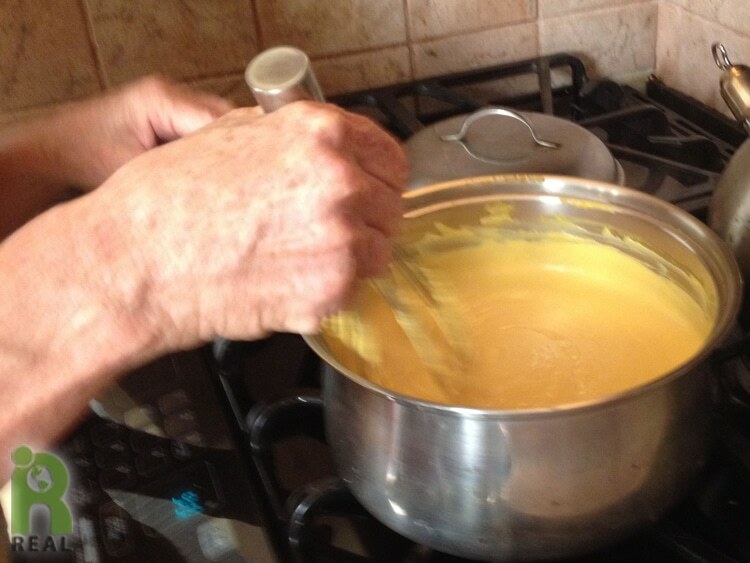 Add to cheese sauce. If the sauce is lumpy, return to the blender and blend again until smooth. Pour in fondue pot and serve with your favorite vegan savory sides. Sauce can also be used on nachos, pasta, vegetables, whole grains or beans. Great recipe! I made this fondue tonight and used it to crown a bowl of rice with sautéed onions, mushrooms, and kale. It was perfect for a chilly October night dinner. Thanks for sharing your recipes!